Recruiting via social media is among the top trends in human resources that managers have embraced in recent years, but the power and reach of social media has affected the HR profession in more ways than one. An employee’s social media presence also reflects on the brand and reputation of the organization they work for, which has led more and more HR managers to take notice. 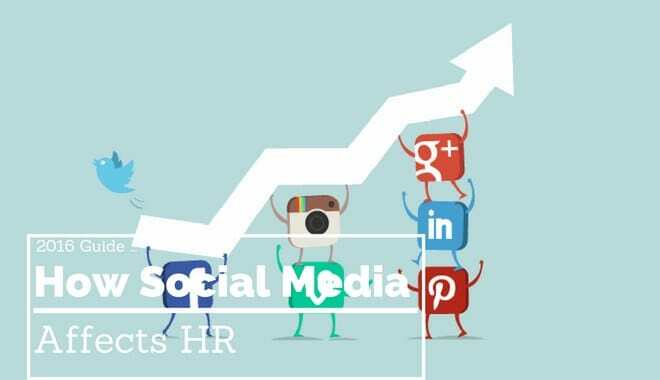 As social media continues to become more entwined with the business world, there will be a significant opportunity for HR professionals to leverage this medium to the benefit of their business. Perhaps most importantly, the advent of social media has affected how applicants are hired. Federal laws regarding equal opportunity employment prevent employers from discriminating against an applicant based upon age, race, national origin, or sexual orientation; however, the text and pictures a prospective candidate posts on a social media website can certainly raise red flags about an otherwise well-qualified applicant. In accordance with recommendations from the Society of Human Resource Management, an increasing number of HR residents have begun to hire third parties to screen candidates based upon the criteria laid forth for a position. This safeguards the employer against accusations of bias or discrimination. Recent technological improvements have made the necessity of traveling to different business sites to deliver training materials a thing of the past. Instead, customized training modules, which are accessed via computer, can now be developed and deployed around the world in record time. Likewise, online collaborative platforms have expanded the existing range of learning options because professors and students can informally meet together to discuss and share knowledge. The same platforms also enable industry professionals to work together to develop new training materials. In general, business executives will share developing or ongoing news to stakeholders directly; however, the firm’s human resources manager is generally the one required to shoulder the burden of sharing significant corporate changes or bad news to specific business divisions and/or individuals. Social media platforms, like Facebook, Twitter, and LinkedIn, have provided HR managers to effectively share such news with sizable groups. This has the added bonus of reducing the anxiety that employees often feel when rumors abound. Such platforms also provide an effective outlet for conducting the Q&A sessions that are often required when new systems and policies are implemented. Young employees are as likely to spend as much time checking their Facebook and Twitter accounts as they are their email. This makes social media an ideal channel for communicating with a business’s employees. If HR wants to encourage employees to enroll in a new wellness program, remind them of an open enrollment deadline, or discuss a new policy change, social media is the way to go about it. The primary drawback to the traditional review process is that it often takes HR managers a significant amount of time to notice how an employee is doing and to provide them with effective feedback. Because of the timing structure, annual and semiannual reviews simply are not able to maintain pace with the actual dynamics of an employee’s performance. However, social media provides an outlet for HR managers to provide immediate feedback to an employee. A quick Tweet praising an employee’s performance or an IM reminding an employee not to call a client their less than flattering office nickname enable managers to provide employees with feedback in real time. Last but not least, HR managers and reps are mainly focused on monitoring and improving their employees’ performance. However, HR personnel are increasingly being called upon to monitor how the businesses they work for are perceived by the general public. When the right tools are used, HR managers can obtain positive, negative, and neutral feedback about their company from the public. Certain websites, like Glassdoor and Indeed, allow current and former employees to leave feedback about company culture, hiring methods, and salaries.